The last few years offered up some unexpected challenges to Rhode Island’s Jenn Vix. A medical misdiagnosis that almost lead to death would alter anyone’s perspective on life – with Vix this was especially true. The latest EP follows 2015’s Strange Buildings EP and in Vix’s words “This EP is inspired by feelings I had when I became ill…I wanted to explore different sounds, and it felt good to do so. After my illness, it took me a year and a half to be able to even listen to music again. Change is scary, but it can also be refreshing. I recently had to burn a few bridges, but they say that the brightest light can come from the bridges you burn. I agree.” The EP once again features a host of ridiculously talented collaborates including John Ashton of The Psychedelic Furs & Satellite Paradiso, Frank Coleman of Satellite Paradiso, and Danny Chavis of The Veldt who provides an outstanding remix. What’s the result? 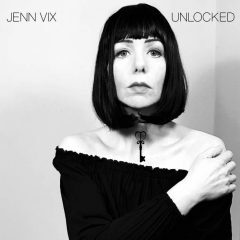 Jenn Vix is a standout among a cast of standouts who has delivered a masterfully executed EP that is breathtaking. Alive Again kicks off the EP with spiky post punk guitar and vocals that balance the line between rage & beauty. Happiness never sounded so good. “I feel alive today / Something good is taking me over / I feel joy again / I feel a power surging in me”. Complicated Man is the single and I can see why – it is a catchy post modern gem that is lyrically focused on covert and destructive relationships. It never comes off as bitter though you’d be forgiven for thinking that while singing along with words like “He’s a complicated man with an agenda / He knows all the right things to say”. Vix’s vocals sell the tune completely, a compelling mix of Siouxsie and Nico. The track is appears in remixed form by Danny Chavis and it creates an even more haunting atmosphere. Both versions are spectacular. Unlocked closes the EP and features John Ashton on guitar. It is simply stunning – the band locks into a groove, the bass creating a hypnotic groove while Ashton creates a holy squall of white noise & Jenn Vix sings her heart out. That’s Paul LF on bass and Frank Coleman on drums by the way. I wouldn’t mind hearing a full length from that core group. Perfect. You can pick up the album from Jenn Vix’s bandcamp. You can also follow her on Facebook to keep up with the latest news. A classic mini album, one that I will surely return to many times. Recommended. 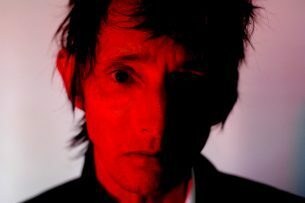 Late 2009 saw the release of Pop Crimes the 2nd solo album by Rowland S. Howard. Famous for his stints in The Birthday Party, These Immortal Souls, and Crime & the City Solution – he was sometimes overshadowed by the antics of his band members. Make no mistake about it – Rowland was also a genius. The album arrived in October of 2009 and he was dead by December. Sadly, it was also his most cohesive artistic statement. Recording sessions were quick – he was given a limited time to live based on the condition of his liver and with a transplant unlikely, it became a statement of intent. Every song pulses and sways with abandon. Much like Joey Ramone’s last statement to the world it was clear that Rowland wanted to live. Life’s What You Make It is the 3rd track on the album and a cover of the song written and originally performed by Talk Talk. The original showed Talk Talk edging away from their synth pop work – here, Rowland S. Howard & company add in some trademark guitar squall and lock into a motorik groove. Having Mick Harvey on drums only adds to the allure – a mini reunion of The Birthday Party alumni. The words ring true and lend the atmosphere a vibe of both euphoria & sadness. “Baby, life’s what you make it / Celebrate it / Anticipate it / Yesterday’s faded / Nothing can change it / Life’s what you make it”. RIP Rowland. 12-30-09. I was shocked yesterday (3-13-17) to wake up to the news that John Lever – drummer for The Chameleons, The Sun & the Moon, and The Red Sided Garter Snakes – had passed away after a brief illness. It is not often that you find yourself in touch with your musical heroes, but over the last few years I’ve had the opportunity to do that many times. I’d been in touch with John to discuss his departure from ChameleonsVox as well as get information on his latest stunning project, The Red Sided Garter Snakes. It amazed me that not only had John read some of my ramblings on this site, he also seemed to like them. John’s body of work is incredible – his musicianship added that intangible quality to a song that made it rise above the rest. 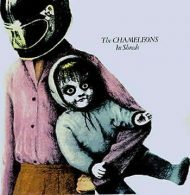 One of the first tracks that John cut with The Chameleons was In Shreds. A blistering punk tune, it was released in March of 1982. A more aggressive track than most of what would be featured on the debut album Script of the Bridge, it features stunning work from Mr. Lever. The song builds and build to a punk breakdown “It seems to me / to be so contradictory / it seems to me / you’ve become a part of the machinery”. Mark Burgess, Reg Smithies, Dave Fielding, and John Lever were on the cusp of something great – and you can feel it begin with this song. RIP John, your art will be here long after us mere mortals are gone from this Earth. 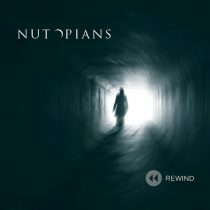 Nutopians duo return with a stunning EP as a teaser for the upcoming full length. Led by Father / Son duo Ian and Phil Jackson, the band have forged their own path of stunning post punk tunes. 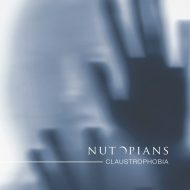 A short 3 track primer, the Claustrophobia EP is a masterful release that betters what we’ve previously heard in every way. Lead off track is the title track. Claustrophobia is melodic, anthemic, and a masterpiece. 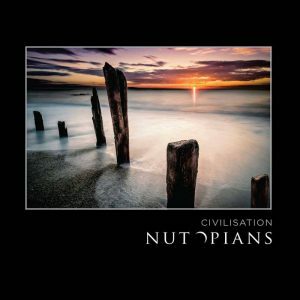 It reminds me of early 80’s U2 with the way it builds to a cathartic chorus. 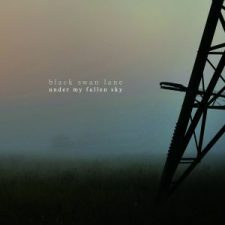 “Feeling trapped, alone in despair / Like I was in the womb”. Haunting stuff. A Life Worth Living is one of those new wave inspired songs that makes you want to hop in the car and sing at the top of your lungs while driving the top down on a sunny day. Really feeling the early U2 vibe with this track as well. Sing a long chorus, what’s not to love? The Final Walk is a doom laden instrumental that was quite unexpected the 1st time I gave this EP a spin. Think Faith by The Cure. This is funeral music, and I mean that in the best possible way. It invokes a sense of loss & longing in the listener. An absolutely stunning way to close this short release, it has spine tingling riffs that’ll stick with you long after you are alone with your thoughts.